One of the most common complaints children have about learning maths is its lack of relevance to their lives outside school. When they fail to see the importance of maths to their current and future lives, they often lose interest. The Australian Association of Mathematics Teachers promote the teaching of financial literacy through maths with the help of contemporary teaching and learning resources that reflect students’ interests. These include lesson plans, units of work, children’s literature, and interactive digital resources such as games. 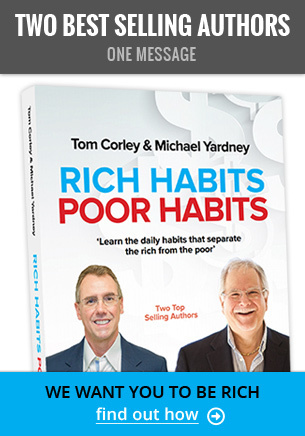 A wide range of resources are available from websites such as MoneySmart and Financial Literacy Australia. These are an excellent way to begin teaching financial literacy concepts, with some units of work specifically designed with a mathematics focus. However, these units can and should be adjusted to suit the specific needs of the students in your classroom. Additionally, teachers should consider using resources that are familiar to students’ everyday lives. These could include items that are in the news media, shopping catalogues, television commercials etc. Keep watch for interesting photographs or misleading advertisements. 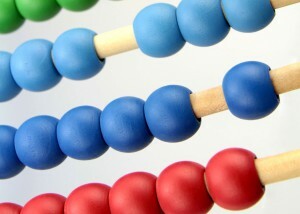 They are great for starting discussions about maths. Questions such as “is this really a good deal?”, “what is the best deal?” or even “what mathematics do we need to know and understand to work out if this advertisement is offering a bargain?” could begin discussions. There are also a range of apps that could be used alongside maths and financial literacy explorations, including budgeting apps and supermarket apps such as TrackMySpend, Smart Budget, or My Student Budget Planner . If you like using picture books to introduce and teach concepts, the Money & Stuff website has an extensive list of books relating to financial literacy. One way to improve engagement with mathematics is for schools to teach it in ways that children are familiar with. 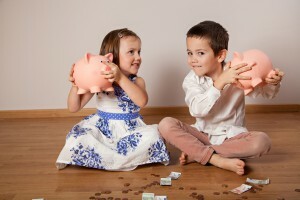 Most children are familiar with money, and many are already consumers of financial services from a young age. Research has found that it’s not uncommon for children to have accounts with access to online payment facilities or to use mobile phones during the primary school years. It’s clear that financial literacy and mathematics skills would be beneficial when using such products. Financial education programs for young people can be essential in nurturing sound financial knowledge and behaviour in students from a young age. Using real-life contexts involving financial literacy can help children learn a range of mathematical concepts and numeracy skills like lending and borrowing, budgeting, and interest rates. They are more likely to remember and understand what they have learned because they applied mathematics to something they’re interested in and something that they can use in their lives. Many young children don’t understand where money comes from. It’s important that they begin to develop some understanding of how our economy works, even from a young age. Research has found a pattern emerging where children whose parents talk to them about money develop an earlier understanding of its importance. 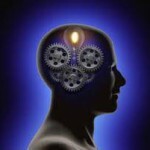 They are also provided with more opportunities to deal with making decisions about money. If you have young children in primary school, it’s a great time to start their financial literacy and mathematics education. There are plenty of opportunities when you are out shopping to include your child in discussions and decisions where appropriate, or explain the financial decisions you make on their behalf. Talk about the mathematics involved in financial decision-making. 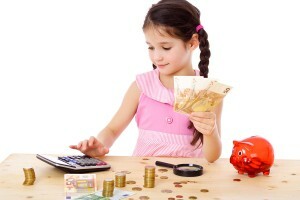 Where possible, encourage children to make their own financial decisions with things like pocket money or savings. If you feel you need to improve your own financial literacy first, there are many resources available for adults. 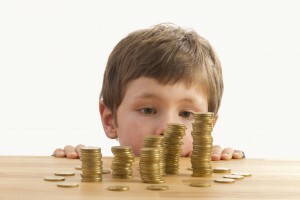 Teaching children about money through mathematics helps children learn. It helps them use mathematics in real-life scenarios and, more importantly, can help set them up for future financial security.